Of course, these very general areas of inquiry will have to be narrowed down further to create an argument, and you are by no means limited to them alone. Do not bite off more than you can chew. In my experience, no topic is too narrow. Your argument should be clearly stated as one or two sentences the thesis statement in the introductory paragraph of the paper. Each subsequent paragraph must use specific examples backing up this main point. Avoid broad generalizations and do not stray from your topic. An organized introduction, along with a conclusion at the end that restates your argument, will provide a clear focus for the essay. Your paper must cite at least THREE primary readings. For our purposes, all selections from de Bary, Lu, and the LATTE readings are considered primary sources. Note, however, that any introductory explanations, scholarly analyses, or footnotes from these texts will NOT count as primary sources. For an example of the distinction between the two, if you look at page 112 of de Barys Sources of East Asian Tradition (your textbook), the part that starts with Han Fei (d. 233 BCE) was said to have been… is de Bary talking. This is a secondary source. While you may refer to it or quote from it, you CANNOT rely upon it as one of the three primary sources for the paper. The part beginning with Chapter 49: The Five Vermin – Past and Present have different customs… is Han Feizi talking and legitimately counts as one of the three primary sources. Consult us if you are unsure whether a passage or quotation is primary or secondary. 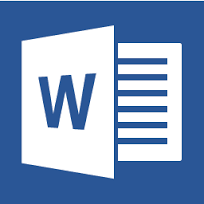 Essays will be about double-spaced pages, using 12-point Times New Roman or Calibri whatever is the default these days fonts and standard margins. Your pages should be numbered as well. Do not wait until the last minute. Papers will be marked off one letter grade for every day late, weekends included. Use quotation marks to identify quotes from any source, or use single-spaced indented blocks for quotes exceeding four lines of text. You must use footnotes or endnotes or inline citations to cite your sources. You may refer to the University of Wisconsins Writing Center website for citation styles: http://writing.wisc.edu/Handbook/Documentation.html. Follow the universitys policy on academic integrity. I take a very dim view of plagiarism, which is a particularly vile and pernicious form of cheating, and will refer suspected cases to the Office of Student Development and Conduct. If you are in doubt, please ask me for advice, or consult the syllabus or the code at http://www.brandeis.edu/studentlife/sdc/ai/. You must proof-read and spell-check your paper. Ask a friend to help. The grade for your paper is based upon the weighted average of three grades: an assessment of a) the amount of critical thinking shown in supporting the argument (50%); b) the strength and quality of the argument and the accuracy and quantity of the evidence (30%); and c) effectiveness of organization and clarity in writing (20%). Content/Analysis: Writing fully summarizes the key points and/or undertakes a sound comparison of the assigned material, and provides an insightful evaluation of their merits in terms of their overall significance and broader contribution to the study of history. Argument/Evidence: Writing clearly spells out a thesis statement and uses sources wisely to construct a concrete, unambiguous argument around the main point. Structure/Organization: Writing is clear, logical, and organized, containing a minimum of misspellings and grammatical flaws. Content/Analysis: Writing brings out most of the key points in the assigned readings and/or undertakes an adequate comparison between them, and provides some insight into the merit of these works in terms of their overall significance and broader contribution to the study of history. Argument/Evidence: The thesis is clear, although the argument may drift from time to time, and the use of evidence and examples may not completely accord with the main point. Structure/Organization: Writing follows a logical organization but could be a bit hard to follow at times, and contains some minor or one or two serious misspellings and grammatical flaws that may hamper the flow. Content/Analysis: Some of the key points from the assigned readings and/or an attempt at comparison can be discerned from your writing. Writing makes a further attempt to show the overall significance of these books and their broader contribution to the study of history. Argument/Evidence: Both the thesis and evidence used to back it up appear ambiguous and confusing. Sources have a basic connection with some aspects of the main point.